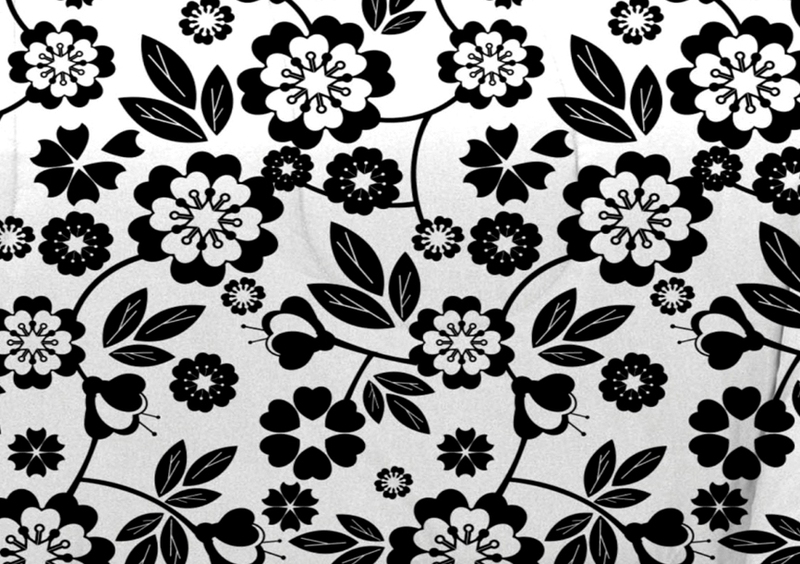 Black and white floral silhouettes with a splash of purple creates this hip design. 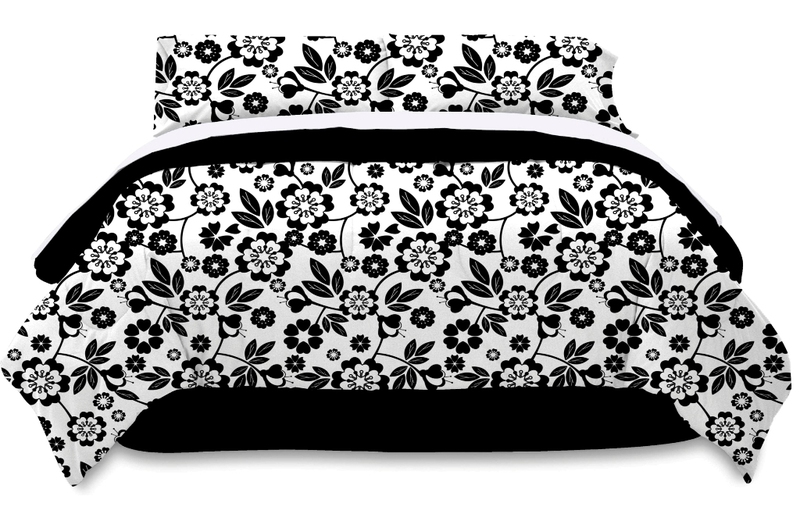 Black and white sheets and bedskirt are the perfect accent. 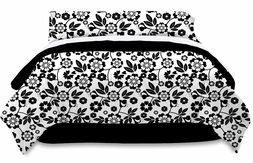 Made of super-soft microfiber poly. King 8-piece set includes: 90x100 comforter, 2 standard shams, bedskirt, and a 4-piece King sheet set (flat, fitted, two pillowcases).